Today's So Shoe Me is the Samalin Treaded Platform by SixtySeven, $89, available at Urban Outfitters. Stomp around all summer in these tough treaded sandals by SixtySeven. The vegan leather upper and all-black design will add an instant edge to your summertime favorites. A rad 90s silhouette and Velcro secured straps adds the perfect in-fashion moment without going too trendy. Pair these strappy everyday sandals with a cheeky cartoon covered dress and a holographic bag for an easy weekend look. 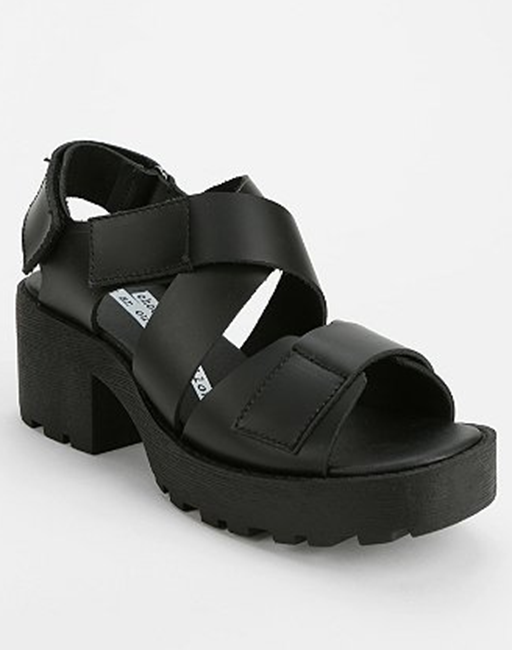 So Shoe Me a pair of 90s inspired platform sandals that will add a kick of rad to my everyday summer style.